I have felt like a complete blogging slacker lately. I have been playing catch up after all the end of the school year activities, starting summer activities, catering, and housework. I will confess that the meals have not been all that exciting at our house. I know everyone else has been busy and summer is the season when you don’t really want to spend hours in the kitchen. So as unexciting as our meals have been this past week I thought I would still share them with you. 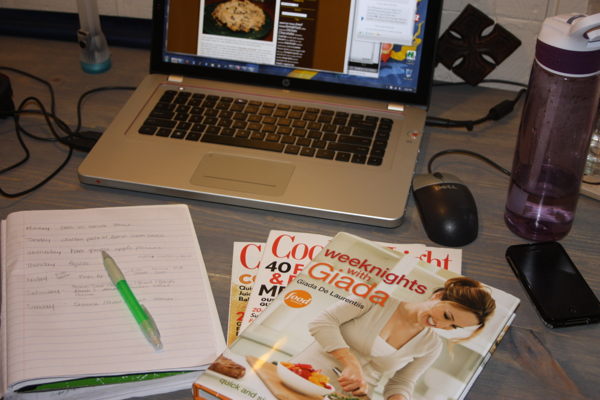 I am eager to do some more menu planning and work more with prepping items earlier to make for easy meals. I say in the summer if you can cook once and use the items for multiple meals by all means go for it. I had the added advantage of cooking some extra pork and beef tenderloin while catering so both of those items were used in our meals for the week. It makes life so much easier. How do you make summer cooking easier at your house? I also made a batch of Oatmeal Cranberry Chocolate Chip Cookies to enjoy as our treat for the week.